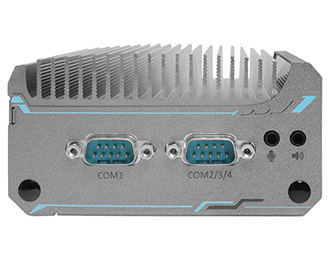 Compact, rugged design with Intel Apollo Lake processing, perfect for machine vision and surveillance applications. The POC-300 comes equipped with the Intel Apollo Lake Pentium N4200 quad-core Atom processor, offering up to 150% CPU performance and 300% GPU performance over the previous Atom generation. Premiering the 14nm microarchitecture, and armed with up to 8GB of memory with increased memory speeds (greater memory bandwidth) over previous generations, the POC-300 packs a lot of performance in such a small size. All this together offers higher performance for applications such as industrial automation, machine vision and real-time surveillance. 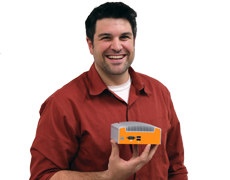 Designed to be small yet rugged the POC-300 is vibration resistant, shock resistant, and dust-proof. The fanless construction removes the cooling fan as a point of failure and source of noise, and allow for a ventless enclosure that keeps contaminants out and internal components protected. Even with its fanless construction, the POC-300 is still capable of operating in a wide range of temperatures, ranging from -25°C to 70°C. 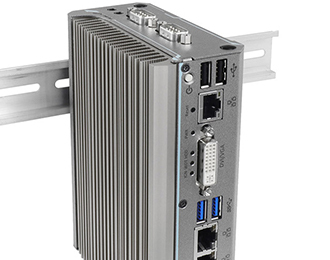 The unique I/O and DIN-rail mounting design allow for installation in even the most space constrained locations. 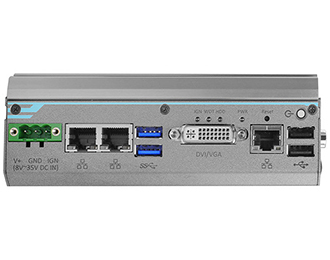 Despite the small size of the POC-300 the system still provides you with ample I/O options. Standard connectivity includes 4 USB ports (two USB 2.0 and two USB 3.0), 2 COM ports, and a DVI-I port for interfacing with other devices and peripherals.  In addition, there are 3 Gb Ethernet ports, two of which provide PoE+ functionality, which makes the POC-300 perfect for machine vision and surveillance, or any other application that would benefit from eliminating the need for separate power cables for connected devices.